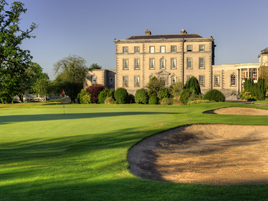 Dundrum House Golf & Leisure Resort is nestled amidst 200 acres of rolling countryside, perfectly combining old world charm, in a tranquil resort location. The stunning 18th Century Manor House Hotel, a protected building, is currently closed for refurbishment and restoration. However, the remaining aspects of the resort including Co Tipperary Golf & Country Club, The Venue Clubhouse Bar & Restaurant, Dundrum House Leisure Club and the Holm Oak Self Catering Holiday Homes and Golf Lodges, all remain open and continue to operate as normal, committed to maintaining the highest of standards whilst the redevelopment of the Hotel takes place.